Malaysia: Cheong Fatt Tze Mansion: Sleeping in Straits-Chinese style. 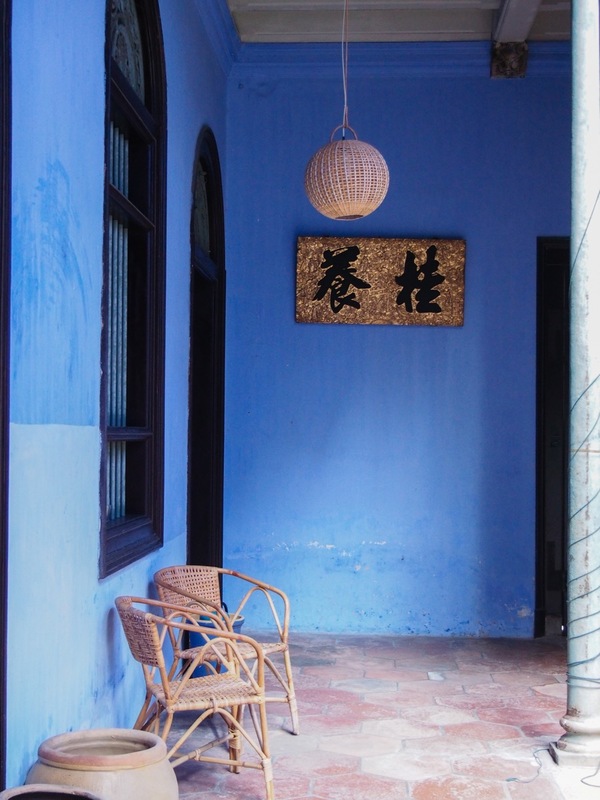 A picture-perfect blue mansion- where you can spend the night as well. Visiting is one thing- staying is another. The Cheong Fatt Tze Mansion is easily toured- an expert guide will take you around and explain the building's history and details. But spending the night in the building is a much better way of experiencing this historic property. And thanks to all the excellent Feng Shui, you’re bound to get some auspicious shut-eye here. 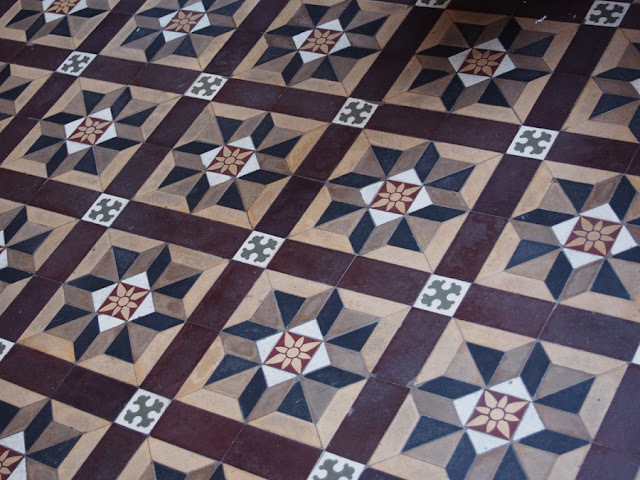 On Leith street, in Penang’s Georgetown, walking distance from the historical center. Map. Little Fatt Tze, barely 16 years old, started as a water trader in Batavia (Jakarta), the capital of the Dutch Indies. The overseas Chinese created one of the first waves of globailization and Cheong eventually built a business empire that spanned several countries. Having started with commodity trading, he eventually expanded into banking and became, how shall we put it, filthy rich. Cheong was a Hakka. The Hakka are a Chinese sub-group who mostly hail from Southern China and speak their own dialect/language. 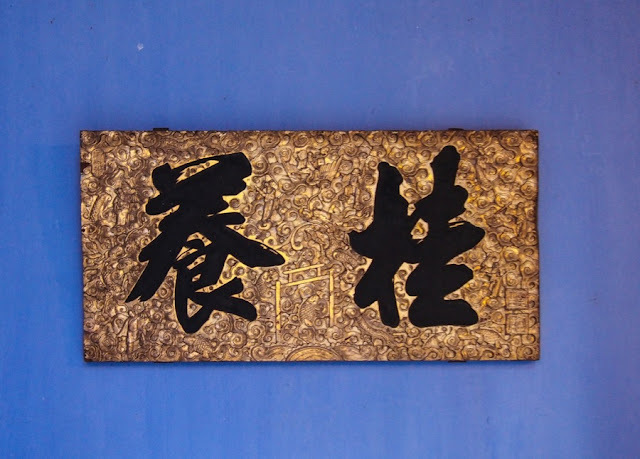 (Cheong Fatt Tze is a transliteration of his name from Hakka- in Mandarin-based Pinyin it would be written as Zhāng Bì Shì). 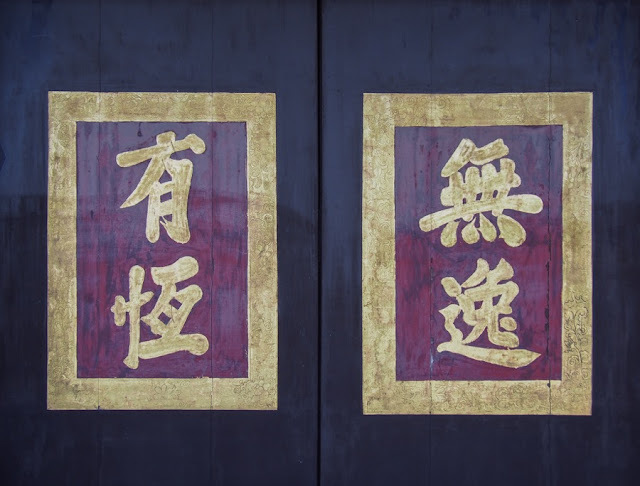 The Hakka were one of the dominant groups in the overseas Chinese communities of South East Asia, with still a significant presence in Singapore, Indonesia and Malaysia. Cheong used his Hakka and Chinese networks to support his business and support the Chinese diaspora. 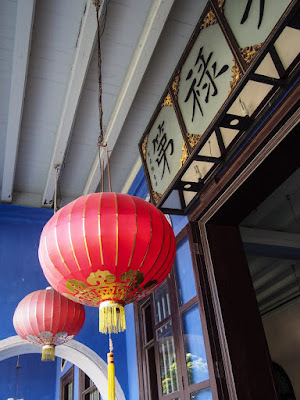 He was a hugely influential person, and the Chinese government, recognizing his power, appointed him as an Imperial Consul, based out of Penang. Looking to put his hard-earned cash to use, Cheong decided to build himself a proper house, worthy of his status of both Chinese representative and filthy-rich tycoon. Most of his peers were building Western-style houses, because if you wanted to be rich and modern, you aspired to be Western-minded. But Cheong was having none of it. A proud Chinese patriot, he set out to build a house reflecting his Chinese and Hakka heritage. And boy, did he succeed. Again, translations will be gladly received. 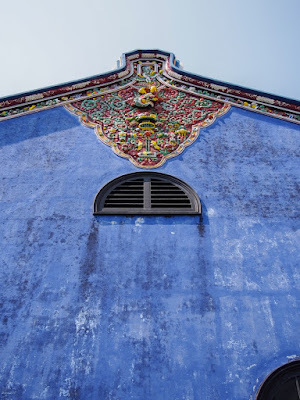 When Cheong died in 1916, the house was left to his many descendants, and that didn't work well. By 1989 it had become dilapidated and sub-divided. 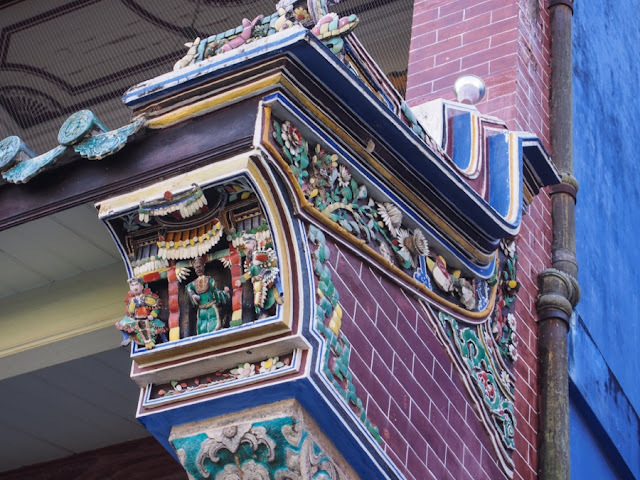 It was bought from Cheong's descendants in 1989, and painstakingly restored. There's a whole mini-temple on this beam! We've written about the Chinese architecture of Penang before, and we love it. But as tourism has increased, boutique hotels became the flavour du jour- everybody wanted to stay in the old town. 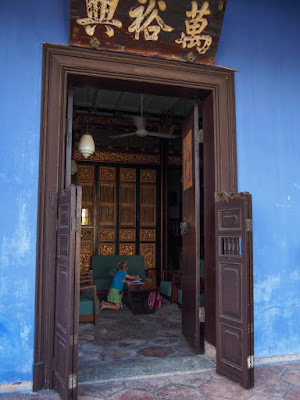 Many of George Town's hotels in the old town are really just facades that have been gutted and have been filled with box-like rooms. Not the Cheong Fatt Tze. 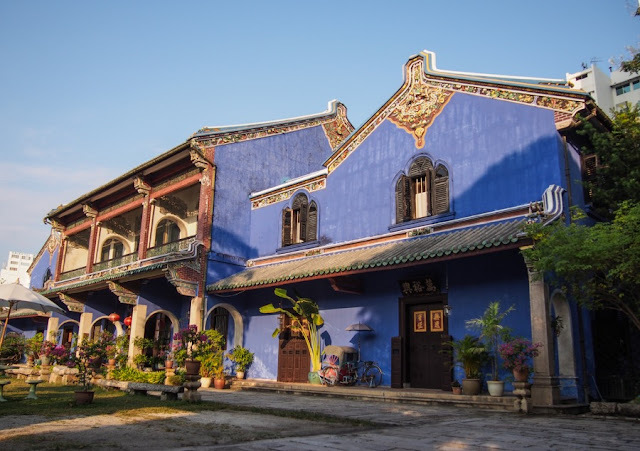 The Blue Mansion has been restored to its former glory, with many details remaining. 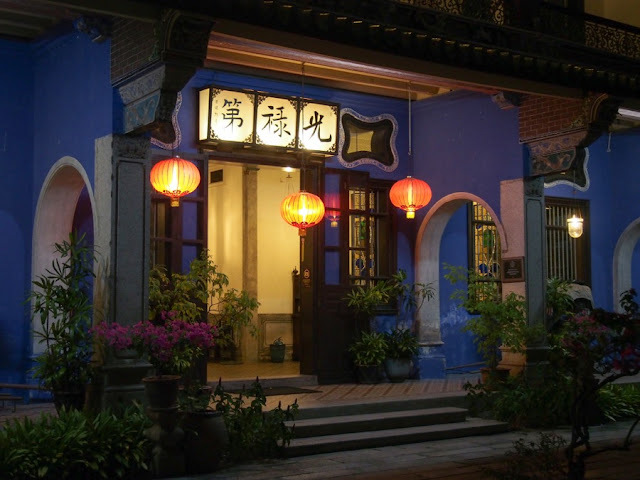 This is one of the few places where you can experience a Straits Chinese home the way it was built. And while there are daily tours of the Mansion, do yourself a favour and book a room here. It's a minor splurge but hey, you save money on the tour, and there is no better way to bask in Penang's former glory. Since Minor Sights visited, a restaurant called Indigo has opened on site as well. We haven't tried it, but we can assure you the setting is great. 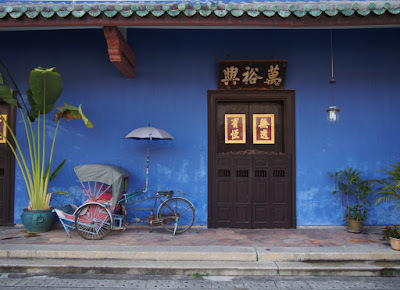 For more on the shophouses of George Town, Penang, read our article here. Feet, car, rickshaw- whatever mode of transport you're using, Cheong Fatt Tze is walking distance from all the main sights. Once you make it to Leith street, it's hard to miss- even if you're colour blind!